In my animated project, (yet untitled) Flea Market Phil is an avid reader and collector of comics. So there’s a lot of discussion about the history and minutia of comics. That means I’m working on fictitious Golden Age comics. 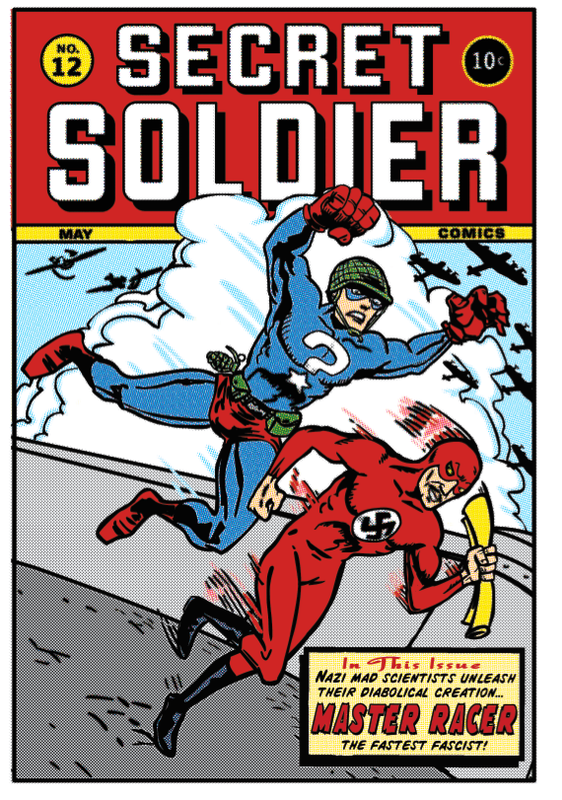 Heres my first one: The Secret Solder trying to catch the Master Racer, a super fast fascist, who was originally created to win the 1936 Berlin Olympics, the experiment went horribly wrong. The Master Racer was not permitted to represent the German team, because he talked too fast and too much.